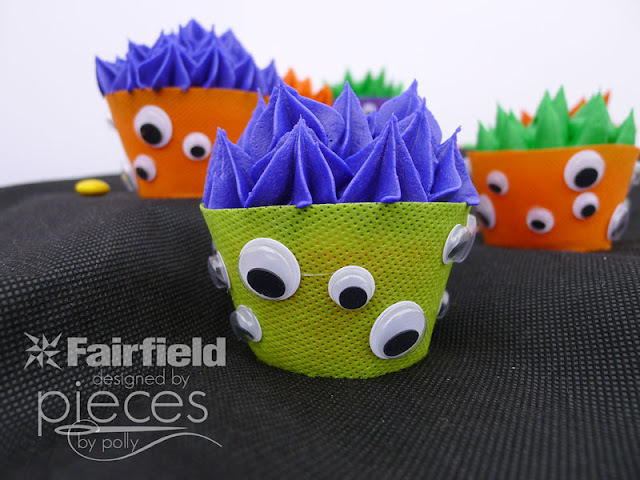 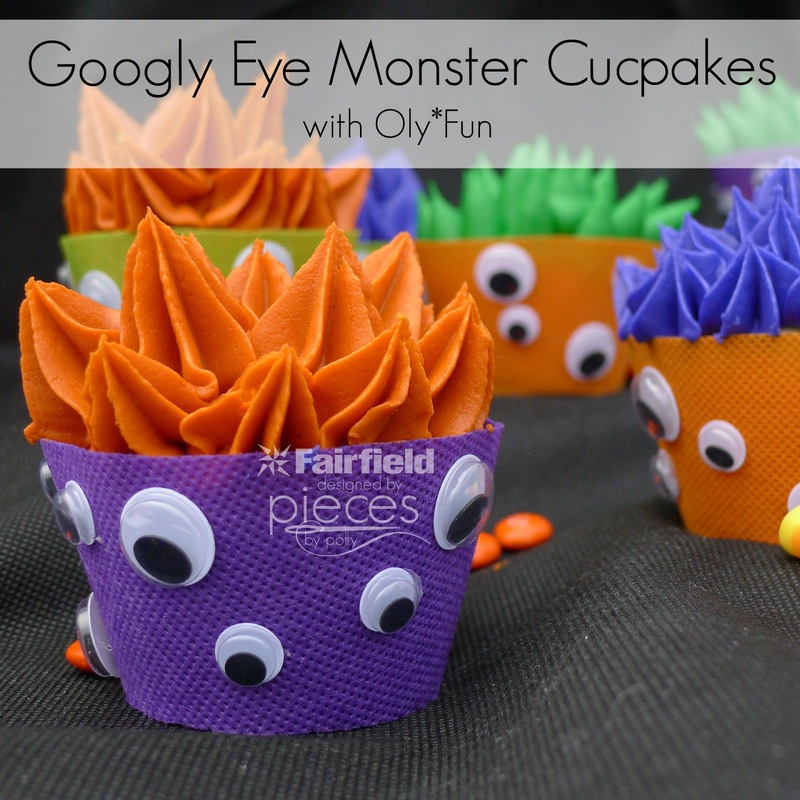 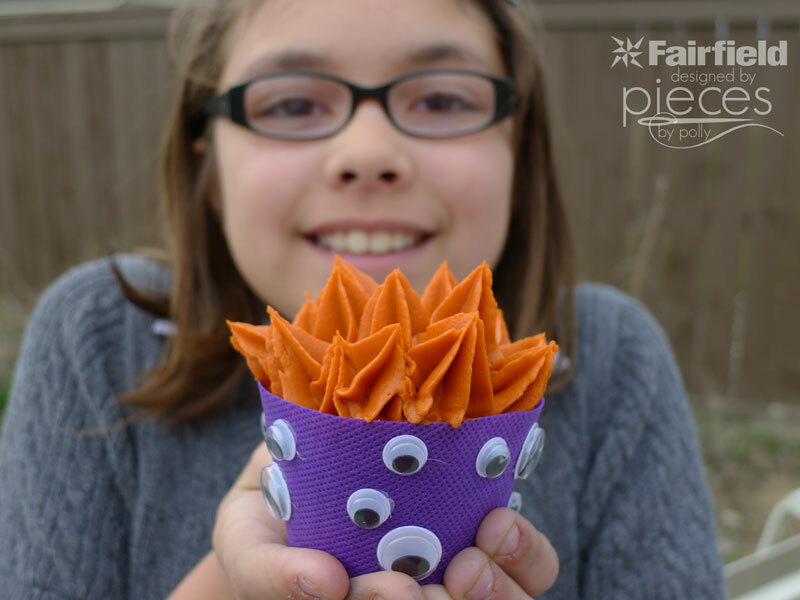 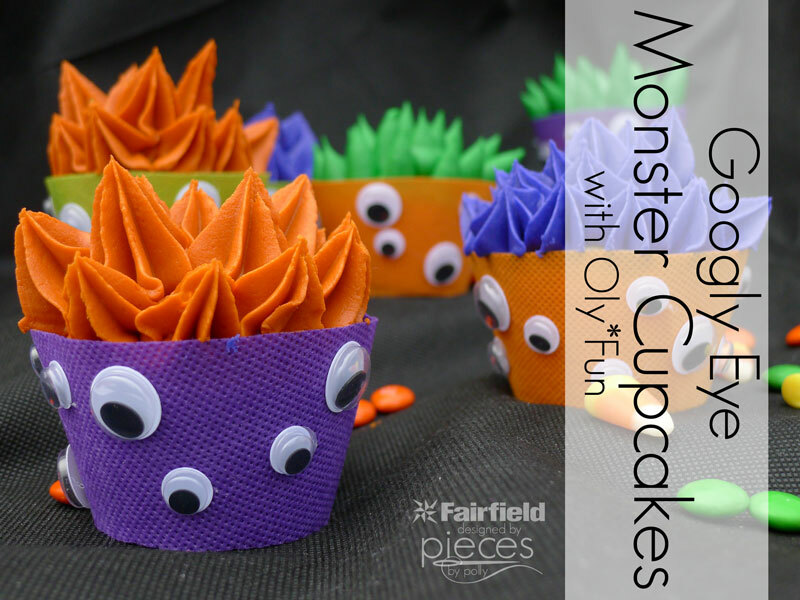 These Googly Eye Monster Cupcakes are sure to be a hit this fall and your kids will be excited to help. Just be sure you make these for kiddos old enough NOT to put the googly eyes in their mouth as they could be a choking hazard for kids under 3. Thanks to Fairfield World for supporting my creativity by supplying me with the Oly-Fun™ Craft Material and compensating me for this post. 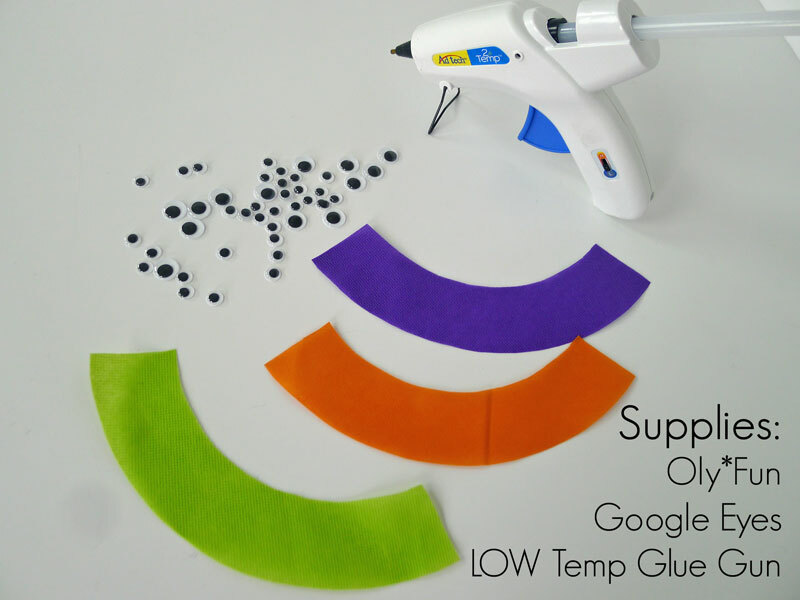 Ad-Tech provided me with the glue gun and glue. All ideas and opinions are 100% my own. 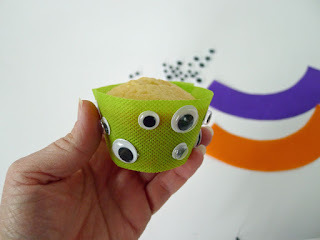 Print out the Cupcake Wrapper Template, trace onto Oly*Fun and cut out. 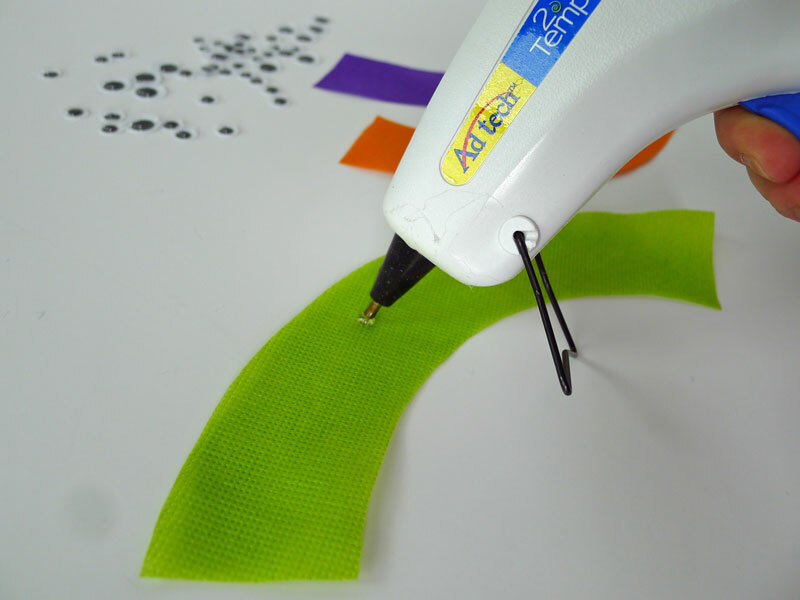 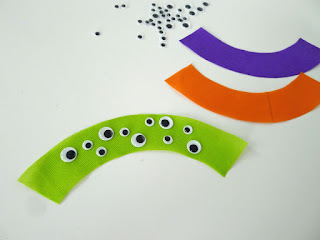 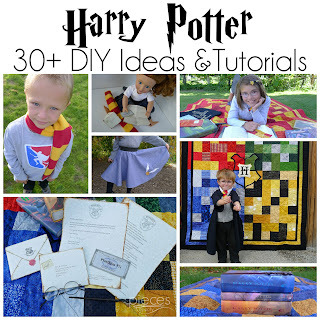 Add Google Eyes with a LOW temp glue gun. 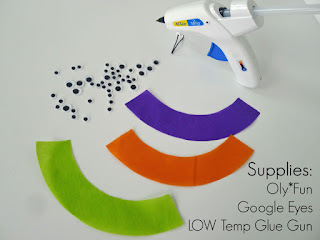 A high temp glue gun will melt the Oly*Fun. 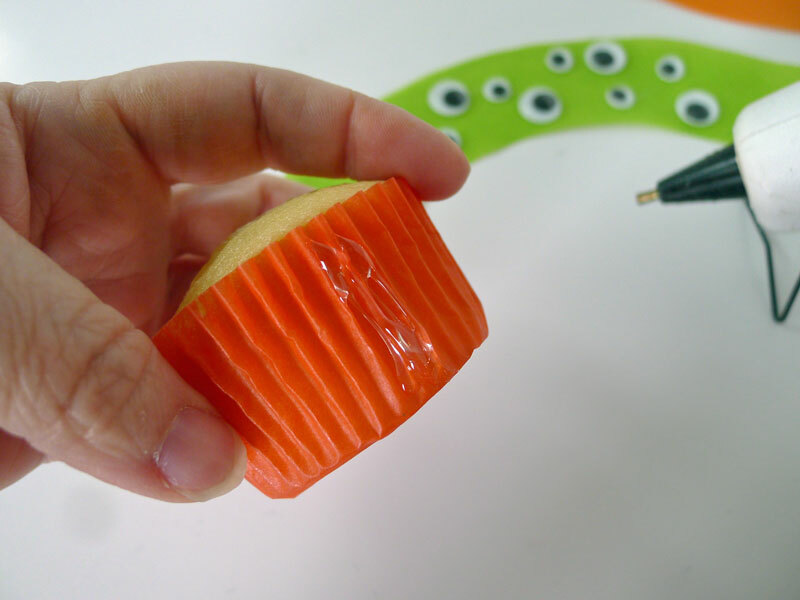 Add a dab of glue to the side of your cupcake wrapper. Attach the wrapper. 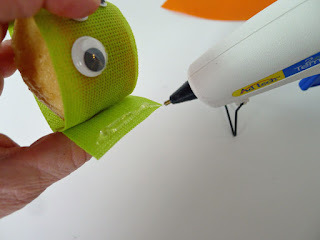 Add glue at the end to secure the other end of the wrapper. With a large closed star icing tip, add frosting for monster hair. 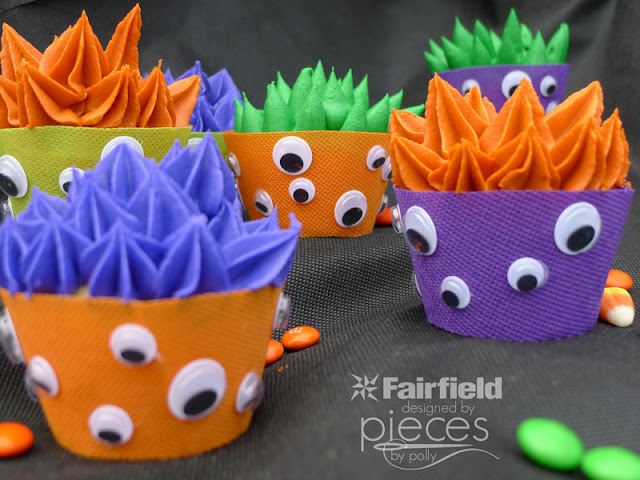 If you're unsure how to make the pointy spikes, you can watch this YouTube video.